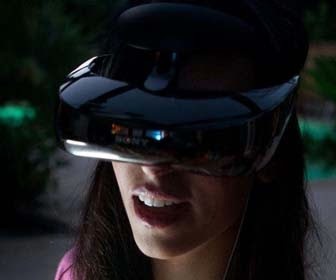 Source says people will "definitely be impressed" by Sony's Oculus Rift competitor; first look at it reportedly coming during GDC 2014 in March. Sony will officially announce its PlayStation 4 virtual reality headset during the 2014 Game Developers Conference in San Francisco, a source told TechRadar today. The show opens on March 17 and GameSpot will be in attendance. TechRadar's unspecified "insider source" told the site that Sony's Oculus Rift competitor is coming along nicely. "The quality and resolution are really, really good. People will definitely be impressed with what Sony's built," the tipster said. Sony's rumored virtual reality device for the PS4 was first expected to be announced during Gamescom in August or Tokyo Game Show in September. However, that never happened. That's because, according to the source, Sony wanted extra time to make sure the device--which still does not have a name--is ready for its official unveiling. "Sony has deliberately taken its time to tweak and polish the headset before revealing it," the source said. This is a markedly different approach to the Oculus Rift, which has been released to developers across various stages of completeness. Of course, Sony already has a line of dedicated head-mounted displays. But this new virtual reality headset is believed to be tailored specifically for gaming purposes. Its announcement would come as little surprise, as PS4 lead system architect Mark Cerny said this month that virtual reality could be a major force in the industry over the next decade. "The impact of virtual reality technologies could be pretty significant going forward in that time frame," Cerny said at the time. Microsoft is also rumored to be working on virtual reality technology of its own for the Xbox One called "Fortazela," which is reportedly similar to Google Glass. Why wouldn't Sony and Microsoft strike a deal with Oculus VR to bring the Oculus Rift to the PS4 or Xbox One? According to creator Palmer Luckey, those consoles are "too limited."